Wet conditions kept drivers off the track Saturday night at Thunder Ridge Motorsports Park. The track was set to host its Hard Rock Nationals Modified race. Thunder Ridge has seen increases in its driver participation in its second season, and will host a state-sanctioned IMCA motocross race in August. 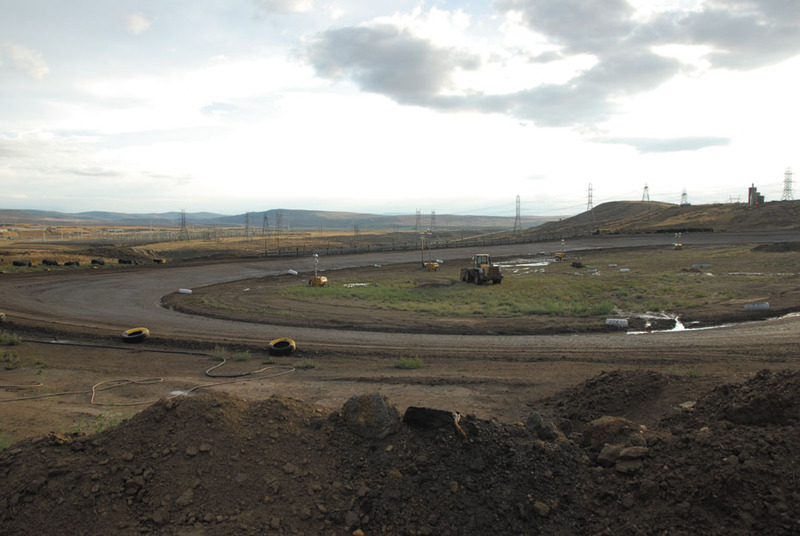 Despite a tough weekend of weather in Craig for dirt track racing, the Thunder Ridge Motorsports Park is enjoying improved success in 2012. The dirt racing track, in its second season of operation, has had good racer turnout in its June races. According to track owner Greg Kolbaba, the track is starting to get past some of the common concerns about a new track that can sometimes keep drivers away. The track has benefited from out-of-town drivers coming to participate in races and giving good feedback. “We had some sprint car racers here on (June) 30th and they came in after some hot laps and said, ‘Man, this track is awesome.’ They loved it,” he said. As a result, Kolbaba says he has received more phone calls about events in the past month than he had gotten since the track opened. He says one reason for that is the track’s development, which has been a long process, but is coming around. Kolbaba has done the lion’s share of the work at Thunder Ridge, and said there is still plenty of work to be done to provide an even better spectator experience. Thunder Ridge hosted races of modified stock cars Friday and Saturday, but the dry weather had the track a bit dusty Friday and then heavy rains canceled the races Saturday. That is a fact Kolbaba knows his track will always have to deal with. But he knew he would have to deal with “new track syndrome” and the tough economy’s effect on dirt track racing as well. Kolbaba is hoping to be able to reschedule Saturday’s modified race for the end of July, and the track’s website has more events planned for the rest of the summer, including mud drags, truck pulls and a state-sanctioned motocross race.